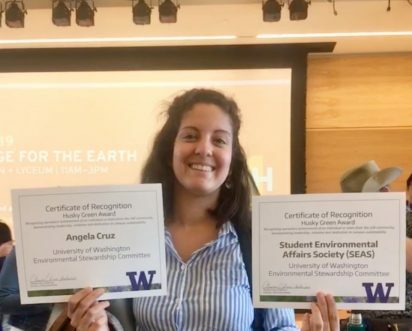 Congratulations to SMEA student Angela Cruz and SMEA student organization SEAS (Student Environmental Affairs Society) on their respective Husky Green Award nominations. The Husky Green Awards are given annually to recognize students, faculty and staff from the Seattle, Bothell and Tacoma campuses who show environmental leadership and dedication. The Husky Green Awards are celebrating the 10th year of recognizing sustainability leadership at the University of Washington. Congratulations to second-year SMEA student Samantha Farquhar, who is one of fifteen University of Washington students receiving a Fulbright grant for 2018-19. The Fulbright Program is the United States government’s flagship international educational exchange program. 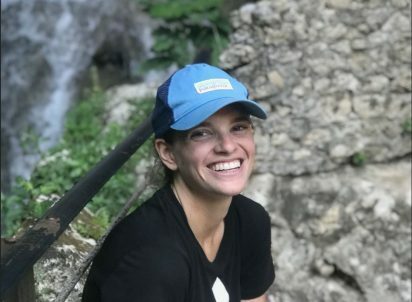 With her Fulbright, Sam will work in Madagascar for 9 months with the marine conservation NGO Blue Ventures. She will be tasked with leading an integrated social survey of fishing communities throughout the Barren Isles. 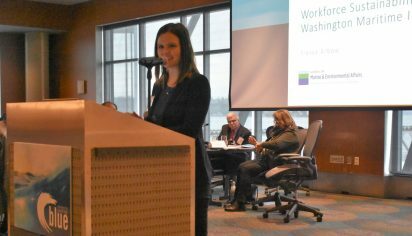 Tressa Arbow presented her research, “Workforce Sustainability in the Washington Maritime Industry,” at the Washington Maritime Blue Strategy Rollout event on Tuesday, January 8. Washington Maritime Blue is a task force established by Governor Inslee in 2017 to develop a plan for increasing the competitiveness and sustainability of the Washington maritime industry, or Blue Economy. The roll out event was the formal delivery of the Strategic Plan, and included remarks from Advisory Council members and leaders of key demonstration projects. 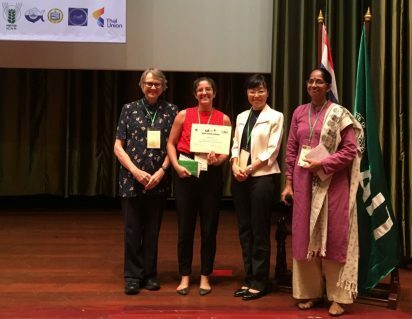 Congratulations to SMEA student Angela Cruz who won the “Best Paper Award” for students at the 7th Global Conference on Gender in Aquaculture and Fisheries (GAF7) in Bangkok, Thailand. Her oral presentation titled “Addressing Gender Gaps from a Programmatic Perspective” discussed how USAID programs perform gender mainstreaming in fisheries and the challenges they face in doing so. The presentation was based on Cruz’s preliminary results from her thesis work that was conducted while she was interning with a USAID project in Jakarta, Indonesia over the summer. 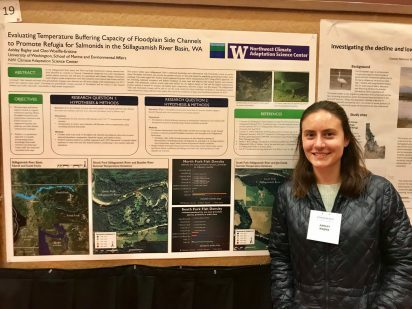 Congratulations to SMEA student Ashley Bagley, whose poster on temperature variation and salmon abundance in Stillaguamish River floodplains won first place in the student poster competition at the Restoring Resilient Communities in Changing Landscapes Conference. The conference, hosted by the Society for Ecological Restoration and the Society of Wetland Scientists, brought together scientists, practitioners and decision makers to share knowledge about the ways in which ecological restoration can build resilience of ecological and human communities in changing landscapes. If you had told us ten months ago that we would be writing this from the Food and Agriculture Organization (FAO) headquarters, I don’t think we would have believed you. Our first year at SMEA was a whirlwind of homework, research, jobs, and of course, happy hours. 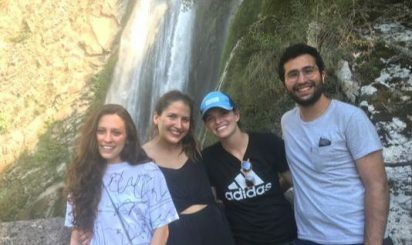 But it all culminated in May when we found out we would be interning together at FAO this summer in the Fisheries Policy, Economics and Institutions Branch in Rome, Italy. 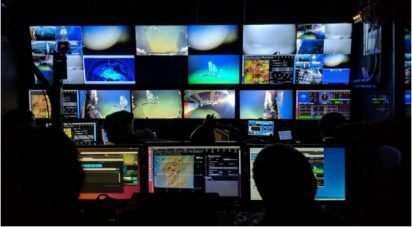 Sea Grant Program fellowships give students the opportunity to apply the skills they developed during their graduate careers to solve real world problems with professionals in the marine science and policy fields. This year eight SMEA graduates were selected for the John A. Knauss Marine Policy Fellowship, the Washington Sea Grant State Fellowship (formerly the Marc Hershman Fellowship), and the Alaska Sea Grant State Fellowship. Ask any SMEA student who recently graduated what their highlight of the year was and it’ll likely be just that, graduating. Finishing the thesis, capstone, course load, etcetera and promptly going to Agua Verde across the street in celebration, or possibly going home and taking a much deserved nap. But graduation isn’t all the good stuff that happened in the past year. The start of the new school year is just around the corner and it won’t be long before the UW campus is buzzing with students and faculty back in class. But before we move forward into this new academic year, we wanted a chance to reflect back on SMEA’s most recent graduating class. 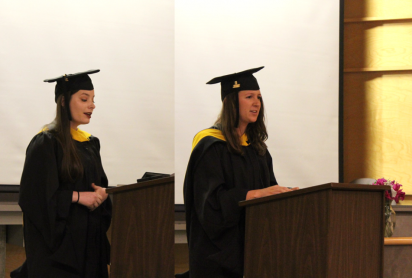 Two recent grads, Danielle Edelman and Valerie Cleland, look back at their time at SMEA sharing their experiences, insights and take aways. 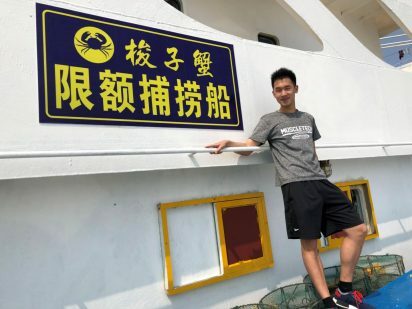 Congratulations to Zelin Chen who has been awarded a Marine Stewardship Council (MSC) Scholarship Research Program award. Zelin will apply his award towards his research into quota-based management of the Chinese red swimmer crab fishery. Red swimming crab is valuable to local fishing communities in China and plays an important role in global seafood trade. Zelin will study the perceptions of key stakeholders and review existing literature.